Target Corp. reported its results for the August-to-October quarter Wednesday morning. Its profits fell in line with expectations. In the third quarter, Target reported adjusted earnings per share of 86 cents, in line with analysts’ expectations and up from 79 cents a year ago. Net profit grew 56 percent to $549 million. Revenue grew 2.1 percent to $17.6 billion. The Minneapolis-based retailer reported 1.9 percent growth in same-store sales in the third quarter. 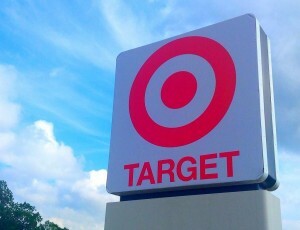 Target saw store traffic grow 1.4 percent in the quarter, its fourth consecutive quarter of positive store traffic. The company’s stock fell 4 percent to $69.78 by the end of trading Wednesday. Target’s online sales grew 20 percent in the quarter. In the second quarter, Target posted 30 percent online growth. In the first quarter, the company reported 38 percent growth for online sales. Target predicts that its online sales would continue that same 20 percent rise for the fourth quarter. Online sales currently account for about 3 percent of Target’s overall portfolio. Ambitious Target executives set a 40 percent growth rate in online sales as a goal for the next few years. The National Retail Federation expects online sales to grow between 6 and 8 percent this holiday season. Other retailers have also seen a recent drop off in online growth. Rival Wal-Mart reported 10 percent growth in online sales in the most recent quarter, dropping from 21 percent growth recorded in the same quarter last year. Macy’s and Nordstrom has also reported flagging sales in the quarter. Those retailers blamed a warmer fall that depressed sales of colder-weather apparel for the drop in quarterly sales. Online specialists like Amazon.com Inc. have been picking up market share in the last year. Amazon captured about 36 percent of all retail growth so far this year in North America, not including fuel, vehicles and food, according to a recent report from Wells Fargo. Target has been pouring millions of dollars into upgrading its online capabilities. Roughly 80 percent of Target shoppers start their shopping experience by looking up deals and products online before they step into a store. The company also recently opened two new fulfillment centers to cut down on shipping times. The company is also launching a free shipping promotion on any size order through the holidays. A similar promotion helped drive a considerable rise in online sales last year.